sailboat. 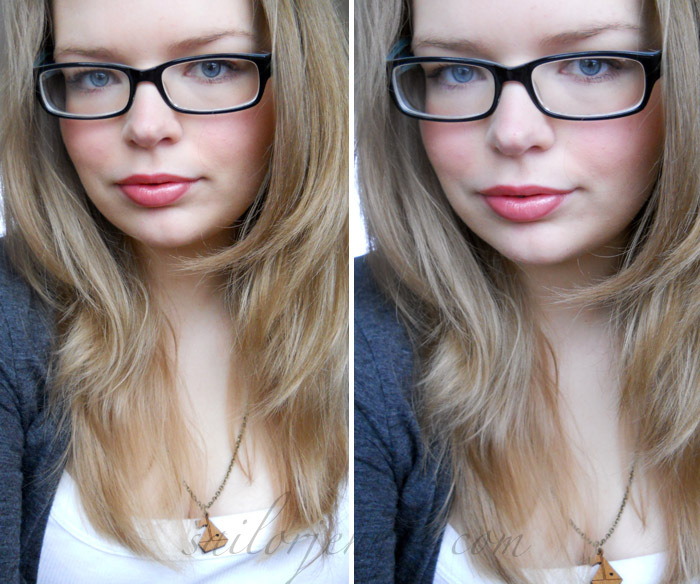 : Face of Today: Spectacles Galore & Super Smiles. 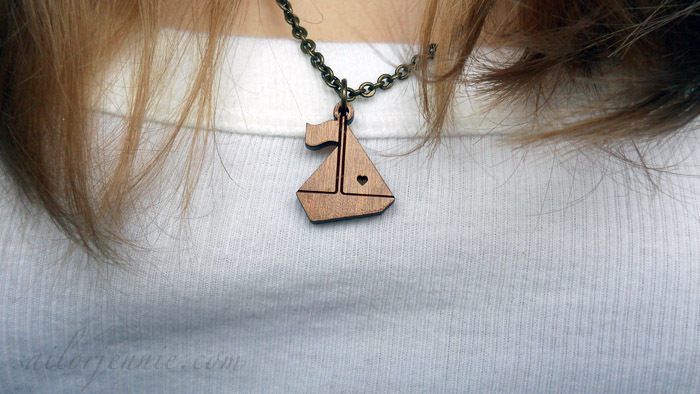 Those glasses are awesome :) as is the wee sailboat necklace. Excited about what your blog will bring in the future. You need to be happy in what you're doing, and you'll probably find that people like you all the more for doing more of your own thing. Looking forward to reading more of your posts, beauty and non-beauty! That is so nice of her! I'm really glad she turned your mood/feelings around. If you lost your love of blogging and left, I'd be really sad to see sailboat go. I was sick! Not alcohol related I might add. Your glasses are adorable and you pull them off so well! Will definitely still be reading your blog and have enjoyed all the non-beauty posts. This weekend, I spray painted my bed frame "antique gold" because I was bored of its white Ikeaness, and it turned out great so I'm super happy! Except for the fact that my lungs feel like I've inhaled many, many gold paint particles which I guess isn't that great. Have a great week! I think glasses really suit you! I have to wear mine all the time (I can't wear contacts) and I sorta like them now so it's nice to see someone else who feels the same! beaut! I wear glasses, only occasionally though, too and you suit them a million times better than me! and aw, what a nice little gesture from kate. the necklace really does look lovely on you. 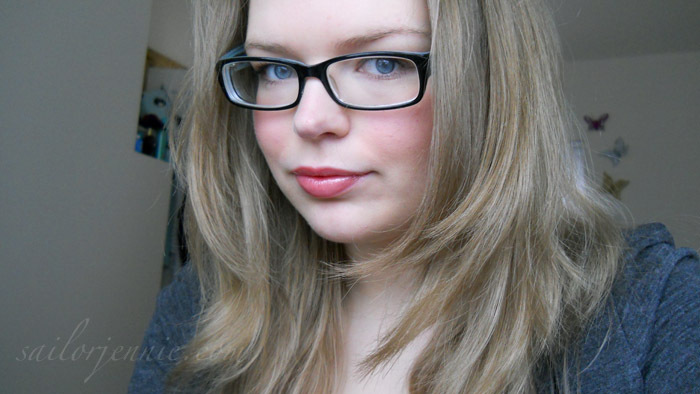 I have similar glasses to yours :) I actually like wearing glasses too, I hardly ever wear my contacts. Your FOTD is super pretty. That lipstick is a pretty colour, I'll definitely be looking out for that next time I'm in Boots! Your glasses are adorable! I am dying to have poor eye sight (horrible, I know) so I can get some cute classes and not be a poser! Blogging is about sharing what you love, and I think it's more important to be happy and enjoy what you're writing about, because otherwise it just will show through at some point. Best of luck to you as you start sailing you blog in a new direction! :) I'm excited to see where you'll end up. Those glasses look great on you! I am a glasses/contact lense wearer but glasses really don't seem to suit me! I love your glasses Jennie, they look so good on you! Aw what a cute necklace! How lovely. I would never in my LIFE get laser eye surgery done. It just sounds so freaky! Plus I like having the choice between glasses and lenses. Exciting to see what you're gonna be adding to your blog!